The greatest wrestling training facility…in the world! It has been two years since I first stated that in a blog. I was referring to a new stand alone wrestling training facility for the University of Iowa Wrestling program. Now that the season is over, it is past time to dig in and see where we are at on this project. An update on the new facility with Hawkeye Wrestling Club President Randy Novak was my first thought. Randy is always accessible for an interview to promote the HWC and Iowa Wrestling. I released the entire interview on my Iowa Wrestling Fan Podcast on SoundCloud. I feel as though this topic is so important that a blog was needed as well. For the full interview, go to my Iowa Wrestling Fan Podcast Episode #52 on SoundCloud, Facebook, Twitter, and Hawkeye Report. We have some fans out on Hawkeye Report talking about the new facility and I myself have been wondering about the new facility so I am having a quick Podcast here. It has been two years since I had my blog about the Greatest wrestling training facility…in the world. I wanted to see if you had any updated information on where we are at in this process. Randy Novak: Well I have good news and probably some not so good news. I will tell you I had the opportunity to spend some time with Kevin Collins who works for the Foundation and is one of our key people as far as helping us fundraise with the University for the facility. This is where the good news comes in. He thinks things are moving along in a positive way. He said there are some very key meetings with some key donors coming up in the next 30-45 days that has the potential to set this on a fast track. I said I had some bad news. The bad news is nothing within the University is fast tracked. I mean at the point where they would have enough funding secured to get started on this thing. We have to get drawings made. We gotta get engineering done. We have to get some things along those lines. We are very hopeful that the next couple of months can set this thing forward but that remains to be seen a little bit. He’s very happy and had some indications that some good things could be happening. How about for the location. I looked around at Carver that was built back in the 80’s 35-36 years ago. Do they know exactly where the new facility will be? Randy: I think so. That is one thing that is pretty well set. They had some people that looked at this really hard before this facility became closer to a reality. They took some measurements and did some surveying. I would like to say that it is south of the arena. So really if you are at Carver Hawkeye Arena there is a wooded area that is south towards to baseball field. Or maybe even pointed towards Kinnick a little bit on that side of the facility. So where those big boulders are? They are big slabs of rock. Randy: That is correct. So I think the location is pretty much set. For different reasons it can’t go somewhere else. This other thing of note that most people know about but I want to mention again is that they plan to have a tunnel that connects to Carver. It would not be a stand alone building. It would be a building that is adjacent to Carver Hawkeye but connected via a tunnel into Carver. So are we talking about an underground tunnel then? Wow. You have my fullest attention. You had my interest before because I was trying to visualize that you cannot block where people walk around Carver. So underground. Randy: That’s pretty high up on the wish list. Someone has spent some really good time on some renderings. Keep in mind they are just renderings. They are to kind of get a shape and line of get the location and the position set. But as far as the details, there is a lot of work that needs to be done. 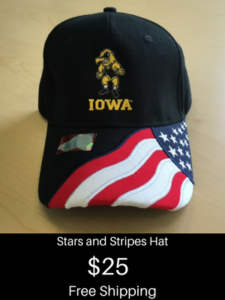 I know from what the Iowa Wrestling staff tells me, it is just a concept at this point. Hopefully if these meeting go well in April or the first part of May, this could take another leap as far as detail and how this fits and where this would go inside the room. It will be one heck of a facility when we get it done. So that would have the Iowa wrestlers going through an underground tunnel and coming in the south side of Carver? Randy: I am not sure where the tunnel would connect. Early on there were some ideas that were presented on where to put this wrestling facility over by the Hall of Fame or a different area. 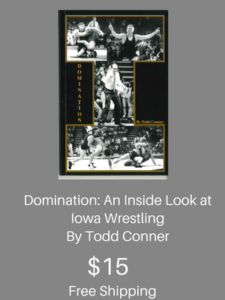 Tom Brands and Terry Brands were adamant that they do not want to lose what they call their home field advantage, their home mat advantage. They want that thing next to Carver. Certainly there is added cost to have it there. But it is very, very important to them to be close to that. So I am not sure where the tunnel comes out but I know that to build a tunnel is in the plans. It is something they all want. Listeners cannot see me but I have a smirk. This has my mind running. That would so cool to have a stand alone wrestling facility and then go underneath a tunnel. I am just a fan but that puts chills down me about the thought of being in the Iowa Wrestling room and then going through a tunnel and coming out in Carver Hawkeye Arena. I do not know who thought this up but that is an amazing idea and concept. Randy: I know it is one of those things we do not talk about the facility during the season because the coaches and the staff are obviously preparing our athletes for postseason. But I think you are going to see some more high level attention put to this thing and certainly if there is anybody listening that is hearing about this facility for the first time and they have the ability to help us get to where we are going, we could sure use it. So the problem is that we have not got the word out to the masses. I think that from what I hear that may be changing soon. You might see some more vocal top university officials stating that they for sure support this thing and I think that is coming in the very near future. I am doing all that I can with my Iowa Wrestling Fan Blog and Iowa Wrestling Fan Podcast. When the Big Ten had dual meets on TV with Minnesota and Ohio State and they are showing the new Minnesota facility which is state of the art. Ohio State has theirs coming up. Rutgers is building a new wrestling facility. I call this The Arms Race. That is just where we are at. I know with football it is absolutely crucial. You have to have that in today’s world. The vision that this is taking. It’s a painstaking process but it’s definitely going to be worth it. Randy: On the outside it feel like it is moving slower than it needs to. Talking to Kevin Collins, he is a wrestling fan at heart. He’s on our side and he wants this thing to go. Him and his staff are working on it and they asked me if you know of anybody have then get in touch with us and we will walk them through the process and show them the renderings and give them our pitch so to speak. It’s nice to have people like that on our side. I think that now the season is done you are going to see a renewed focus. It never really went away but you have not been hearing much about it. I think there are some things in motion that will hopefully bring some really good news to our staff and our fans and the program we root for. Say someone or someone they know want to contribute to this project. How do they do it? Randy: The best way to do it is to get a hold of Kevin Collins with the University. He is the one that drives this thing. Another thing to note that I just heard for the first time at Nationals when I sat down and talked to Kevin. They are not only willing to talk to the people that can give them the big dollar donations, they are willing to talk to people that come in at smaller levels as well. Those things add up for numbers and now we are getting closer to the point where you will see full University support and hopefully we get the green light. That does not mean they are at the end of their fundraising goal. What it means is that there is path to get there. A lot of times the smaller donations the $25,000s, and $50,000s and $5,000’s and $10,000s, they add up and they are what completes the project. So I think he would be willing to talk to anybody, Todd. The greatest wrestling training facility…in the world!